Growing up we weren’t really a takeaway kind of family, quite possibly because back then the options were somewhat limited! Whilst I still don’t eat it regularly it definitely is required from time to time, so when I was offered the chance to review Menulog I couldn’t turn it down, especially when it meant I could do a giveaway to my lovely readers at the same time! For those who haven’t heard of Menulog, it’s an online takeaway ordering and delivery service that operates across Australia, with currently over 3,500 restaurants on their system. You simply head to the website, pop in your postcode and it pulls up all restaurants that deliver to your area, which makes it particularly useful if you’re somewhere new, and removes the need to keep that pile of takeaway menus that never seem to be up to date anyway! The search will show you not only what restaurants are available but also the cuisine, speed of delivery, minimum order and user ratings. It also shows any promotions the restaurant is running through the website, and you can often get discounts like 10 or 20% off your first order, meal deals or freebies after a certain number of orders. Really the only hard part is choosing what to order! 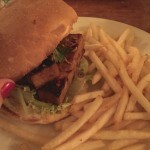 B and I decided to go with a vegetarian favourite Madame K’s and we were not disappointed. So much delicious food! I love how simple the system is to use. Lots of the restaurants have really embraced it and provide pop-ups to nominate things like how spicy you want the food, add-ons, choosing your protein, or choosing gluten free options, so it’s very user-friendly. You can also choose to order in advance and nominate a delivery time, which I recommend you doing at busy times as if you choose ‘deliver now’ you won’t find out the actual delivery time until you get your confirmation SMS, and for some places you might have to wait a little while! Once you’ve placed your order you’re stepped through the checkout process which has quite a few ways to pay include credit cards and pay-pal, which means no more fumbling for cash when the delivery arrives. You then receive a confirmation email from Menulog, followed by a text confirming the delivery time from the restaurant you chose. No orders going missing here! This wasn’t my first time using Menulog and I can guarantee it won’t be the last, it definitely makes the whole process a whole lot easier! And now the fun begins – thanks to Menulog I have a $20 voucher to giveaway so one of my lovely readers can try out the system as well! Entry is through the rafflecopter app below. Two of the steps are mandatory (but easy, I promise!) and then you can do as many of the others you like to increase your chances of winning! Feel free to share the giveaway around, hopefully you’ll get some good luck karma! The giveaway is open to Australian residents only, and the winner will be notified by email & given 48 hours to respond, if not a new winner will be drawn. The winners details may be forwarded to Menulog for delivery of the prize. A voucher code will be emailed to the winner and valid for 1 month from the date of issue. The voucher is single-use, valid for delivery only and payments must be made by credit card. The giveaway is open from 7am 26th July until 11pm 10th August, AEST. So tell me, what’s your favourite takeaway cuisine? I received a voucher to try Menulog, but made up the rest of the cost of the meal myself. This in no way influenced my opinion of the service, honesty is key! For more info check out my disclosure policy. 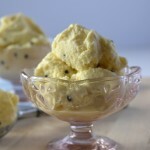 Pineapple Passionfruit Coconut Milk Ice Cream & a Giveaway! 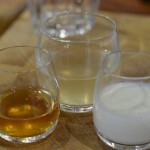 Trupp Cooking School Fermented Foods Class & a Giveaway! Join the Weekly News & get my Meal Planning 101 Guide! 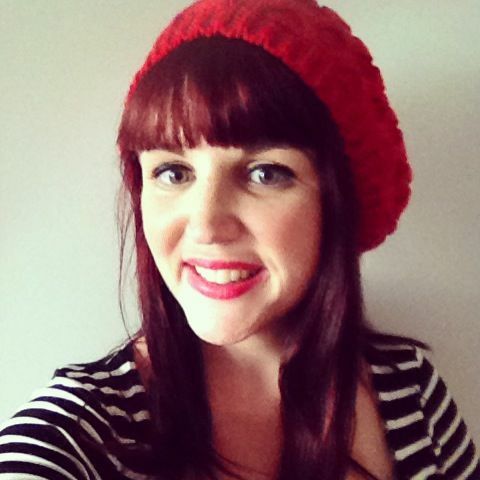 I Spy Plum Pie is Liz, a mid-20s kiwi-born, Melbourne raised girl who is passionate about the environment and sustainability, food, exploring and learning new things. Join me on my journey to a happy, sustainable life! Oh no! Quick, move closer! I just love Indian… so many great vegetarian options, it’s always tasty and I just can’t make it the same myself so it’s a total treat! Indian food sure is good for vegetarians isn’t it – great choice! Has to be Indian – I love love love it! Indian is proving to be a popular choice, and with good reason! I’ll never say no to dumplings, that’s for sure! As much as I love Indian, our local is always better when we eat in, so I am going to go with pizza! Lots of variety, easy to please and we get a salad so we can pretend we are being healthy. B would order pizza every time too if I let him! Love that your local does salads too, fancy! 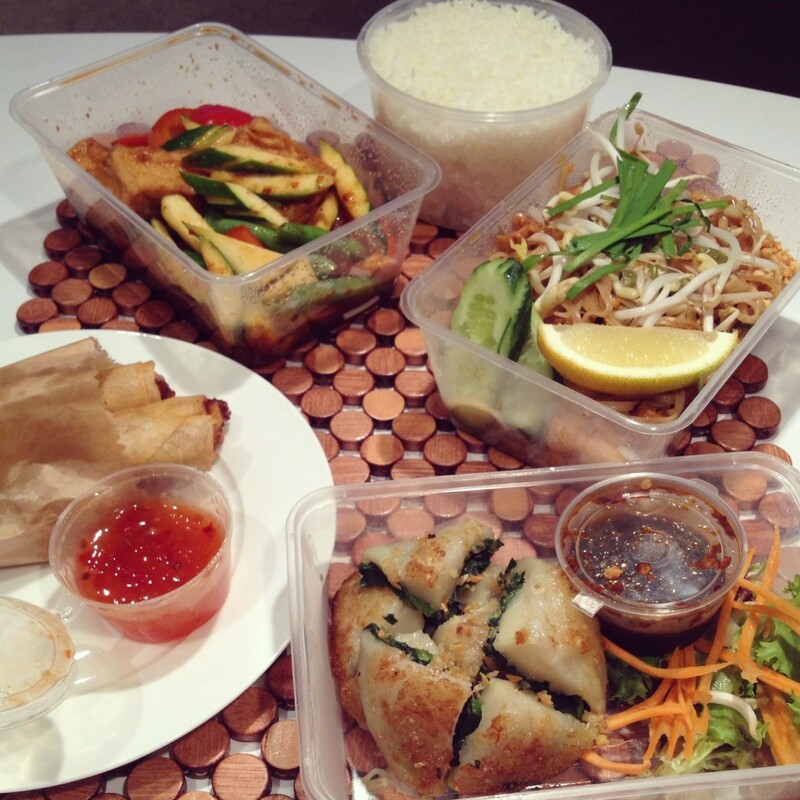 Don’t worry, delicious takeaway will still be here when you get home from your amazing adventures! Indian, because all the flavours are great and the do the best tasting vegetarian dishes. Indian really does cater well for vegos doesn’t it! I Spy Plum Pie is my corner of the internet for meat free cooking & no fuss eco-living. Click the button below to find out more! © Copyright I Spy Plum Pie 2014.